• MONDAYS Nr. 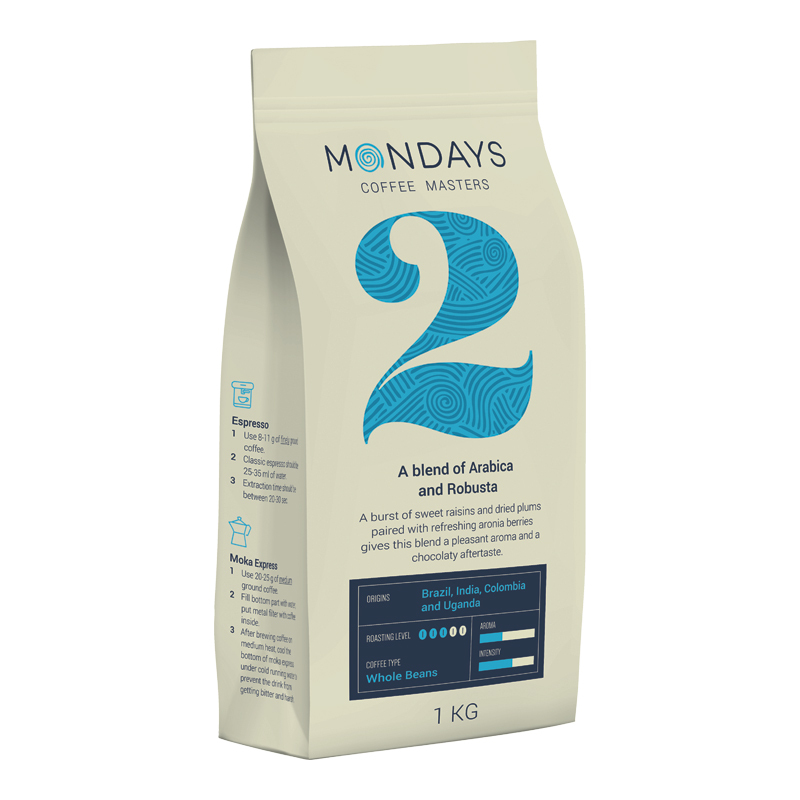 2 - medium roasted Arabica and Robusta coffee beans. With aroma of sweet raisins, dried plums and chokberries. Chocolate aftertaste.